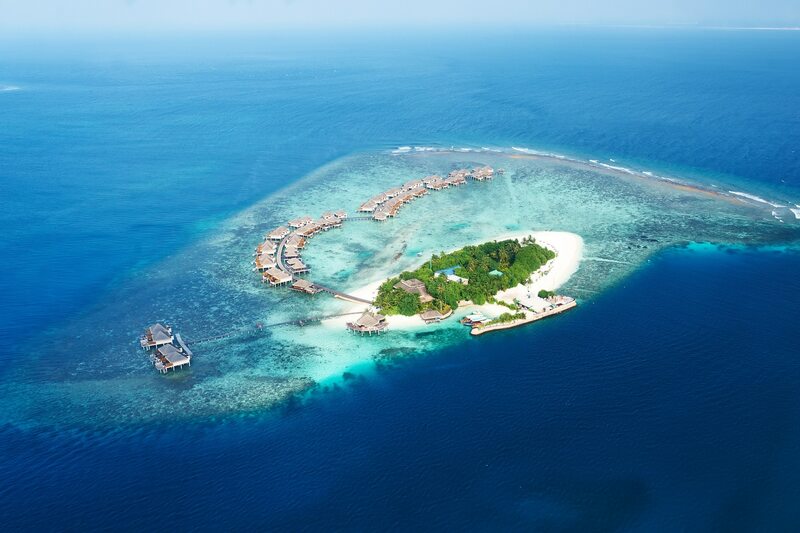 The Maldives is one of the most popular honeymoon destinations in the world Maldives honeymoon. A Google search of this chain of islands will quickly reveal why. The Maldives is a tropical paradise with pristine, white-sand beaches, crystal waters, active coral reefs and lush forests of palm trees. With hundreds of beautiful resorts lining these islands, however, it can be difficult to know where to begin. 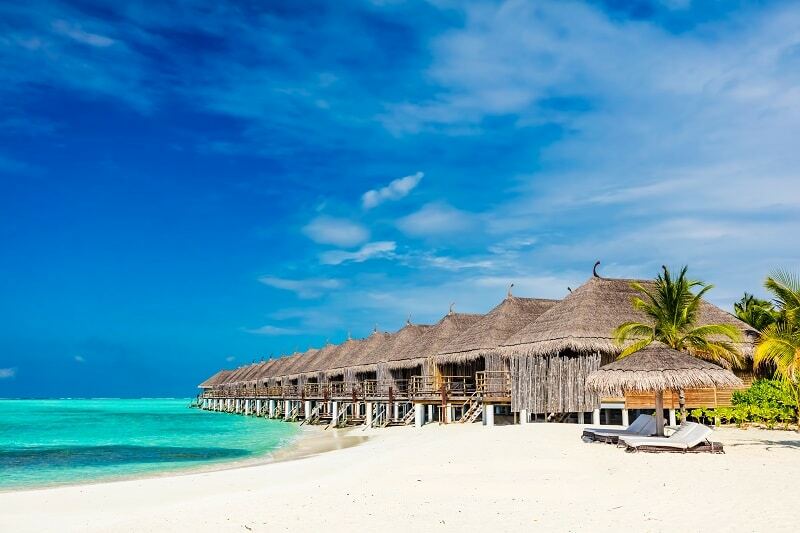 Many budget travelers also find the average costs in the Maldives as a slight turn-off. Here is a rundown of the best Maldives tips to help travelers make the right decision in regards to this beautiful paradise. Some vacation destinations have everything a traveler could need. The number of options is typically the allure for these places. The Maldives should be seen as a destination that focuses on a specific niche rather than offering a little bit of everything. There are no major cities on this chain of islands. The Maldives is also lacking in nightlife, shopping centers, and local interactions. The average cost is another difficult pill to swallow. Although there are some cheaper resorts in the Maldives, these can detract from your vacation more than they’ll add. It is a better idea to splurge on a nicer resort and stay for a shorter period of time in the Maldives. 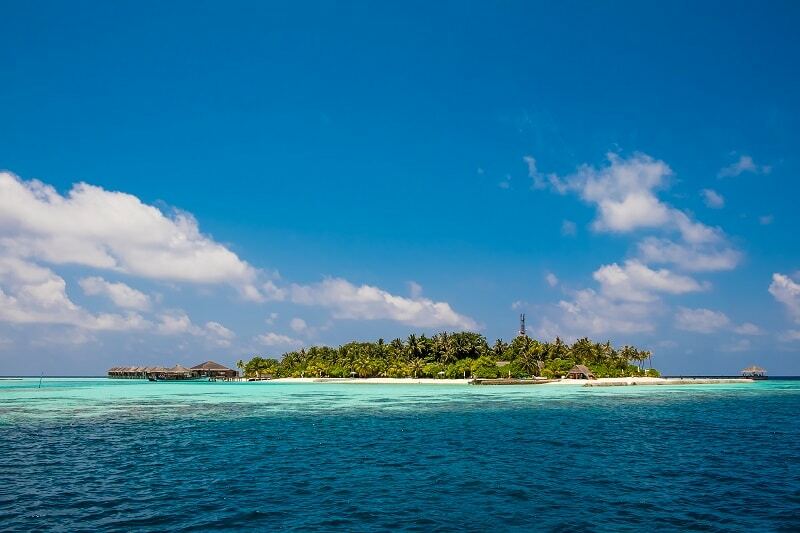 Despite seeing warmer temperatures on a yearly average, there are still distinct seasons in the Maldives. A majority of tourists visit from December to February when the skies are consistently blue and the temperature is at its height. Months May through November see the cheapest travel accommodations, but the weather is wetter. March to April is the second most popular period of time to visit the Maldives. We recommend talking with a travel agent to discuss the best time to visit based on your personal preferences. Five things to know before visiting. The Maldives is in a remote location. Travelers coming from the west will most likely have at least three or four separate flights in their itinerary. You should expect this travel time to cause some jet lag, especially after a wedding. The waters of the Indian Ocean offer some of the best diving opportunities in the world. You should book a diving lesson through a resort or reputable provider to take advantage of the stunning marine biodiversity. Everything is pricier in the Maldives because of the remote location. You should book an all-inclusive resort if possible to help lower the overall cost of the trip. Shopping should also be left for layovers in Dubai or Abu Dhabi. Visitors can expect most resorts to becoming quiet around 11 or 12 at night. There isn’t much of a nightlife on these islands. The Maldives is more resort than a local island. Local experiences aren’t as authentic as other islands. Couples expecting this kind of local touch should consider visiting Seychelles or Mauritius instead. As long as you have a valid passport that doesn’t expire in the next six months, getting into the Maldives is a breeze. There are also currently no vaccination requirements. It is also important to remember that a valid departure ticket is required. Getting around the islands requires walking in sand or on uneven boardwalks. This is no place for fancy footwear. Dressing like Jimmy Buffett is a good rule-of-thumb when visiting the Maldives. Anything too formal will be out of place. The sun is always present in the Maldives. Visitors should be applying sunscreen several times throughout the day for protection. A vacation in the Maldives is a relaxing one. Make sure you stock up on enough books and gadgets to keep busy. Make sure you carry enough cash in US dollars and local Maldivian currency. There are some places that won’t accept credit cards. Can you travel the Maldives on a budget? While there are cheaper options on the island, nobody should visit the Maldives with the intention of traveling on a budget. The geographical location of these islands makes it very difficult to price resorts, food, and transportation at a budget price. 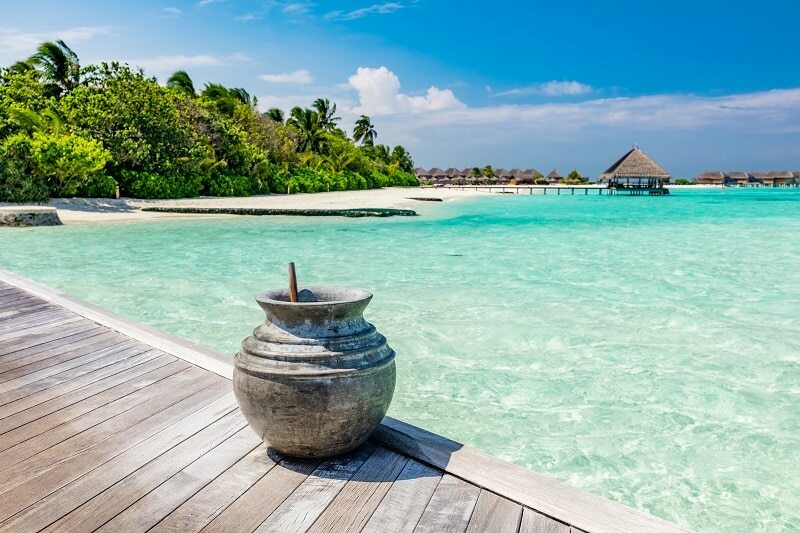 Whether visiting for a honeymoon or family vacation, the Maldives is a stunning island getaway that won’t disappoint. You should start planning this trip far in advance to get the best prices and resort options.